Prime Minister Binyamin Netanyahu says the Ulpana neighborhood in Beit El is to be evacuated, and the houses moved a few hundred meters. Prime Minister Binyamin Netanyahu decided Saturday that the Ulpana neighborhood of Beit El in the Binyamin region will be evacuated. Netanyahu decided that the homes will not be destroyed, but rather will be copied to a military area within Beit El. For each home that is evacuated, “build 10 new structures.” In accordance with the decision the homes will be copied from their site to an agreed-upon area. In accordance with the prime minister's decision, the homes to be evacuated will be dismantled in their entirety and moved in the same manner as took place in the Templar army headquarters in Tel Aviv. In this way the houses will be preserved, but will be evacuated in accordance with the decision of the High Court, and moved a few hundred meters from their present site. 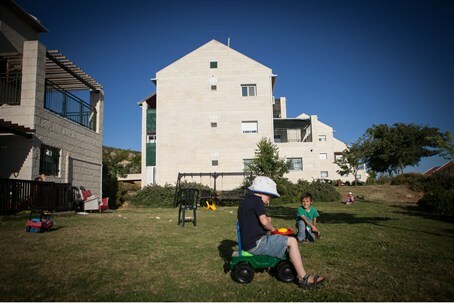 The Prime Minister emphasized that a bill to legalize the structures could expose the entire settlement enterprise of Judea and Samaria (Yehuda and Shomron, or “Yesha”) to international criticism. The bill would block expulsion of Jews from their homes on land that is not contested by any Arab landowner within four years of construction on the site. At a briefing Saturday evening Netanyahu examined the issues dealing with the engineering and structures. The Prime Minister remarked that if a solution cannot be found to similar cases in the future, there will be no other choice but to go ahead with such a bill – despite warnings by lawmakers that the government is bound by the ruling of the High Court to evacuate Jews who build on land contested by Arabs who file ownership claims.